I don’t agree with the caricaturs Charlie Hebdo published and I don’t see the reason for publishing them in the first place. 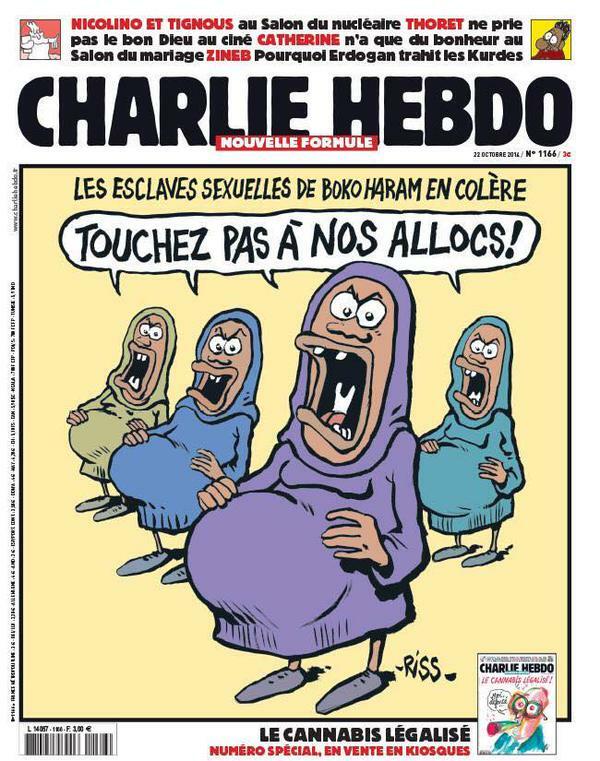 I wouldn’t sign up for the #JeSuisCharlie hashtag because I don’t support this kind of journalism, a journalism that’s provocative only for the sake of being provocative. But I am as shocked with the killings as everyone else. I don’t know where the attack comes from and I don’t know if we ever will find out. And who was it? Confused young Muslim immigrant men, treated as second class citizens by the Front National influenced France of today, or angry young converts who recently came back from Syria? Did Saudi Arabia fund the terror attack just like we accuse them of funding everything else? Was it ISIS? Or was it loners scraping together for ages to be able and carry out their own little sick plan? I’m not sure it really matters who was behind this brutal killing. The attack in itself is a sign that we’re on a very bad track internationally, all of us, and that we’re going downhill. KIlling of civilians is becoming so normal our children might think it’s a rational thing to do when you have convinced yourself that you hate someone. I wish I wouldn’t have to say this, I’m myself irritated at times with all the doomsayers online who critizice politics and the society without wanting to see the good things in it. But 2014 ended with the Peshawar massacre and 2015 starts with 12 journalists killed because of the newspaper they worked for. These attacks sends us back ages in to a dark place where I don’t want to be. Twitter fills up with racist statements and the rightwinged extremist parties are looking forward to an upswing in the next elections. Front National must be shitting their pants with excitement. Us ordinary civilians will lock ourselves in and starting to avoid our neighbours. 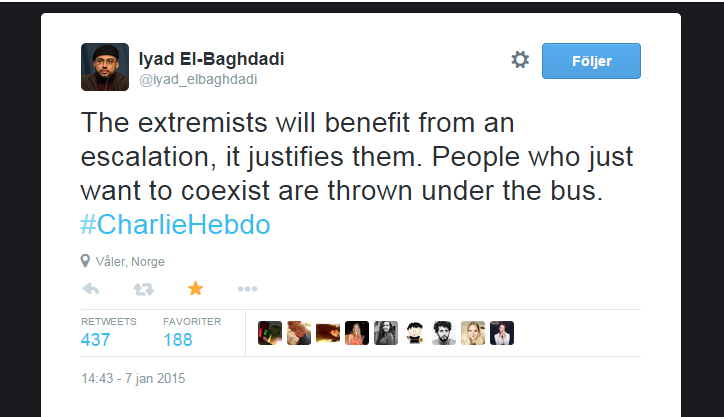 This attack isn’t just on Charlie Hebdo, it’s an attack on all of us, all over the world.